Not a photo composition, but a typical view and popular photo object in the whole of Ireland. 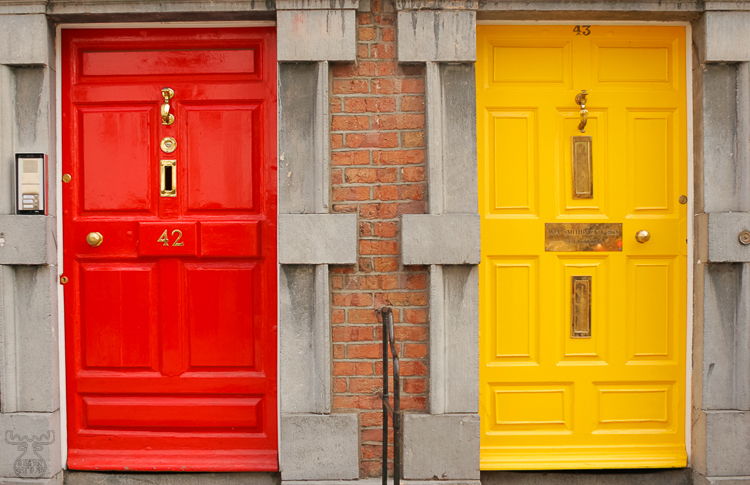 The Irish are known for their preference for strong colors, and doors are just one example for it. Congenial people, these Irish, for a photographer with a marked preference for saturated colors. These two particular specimens of passionate Irish painting can be found in Kilkenny.